My sweet, soon to be 16-year-old daughter and I just got back from Italy! Trip of a lifetime! Technically, Baby was there too, but she couldn’t see anything. What with being in utero and all. 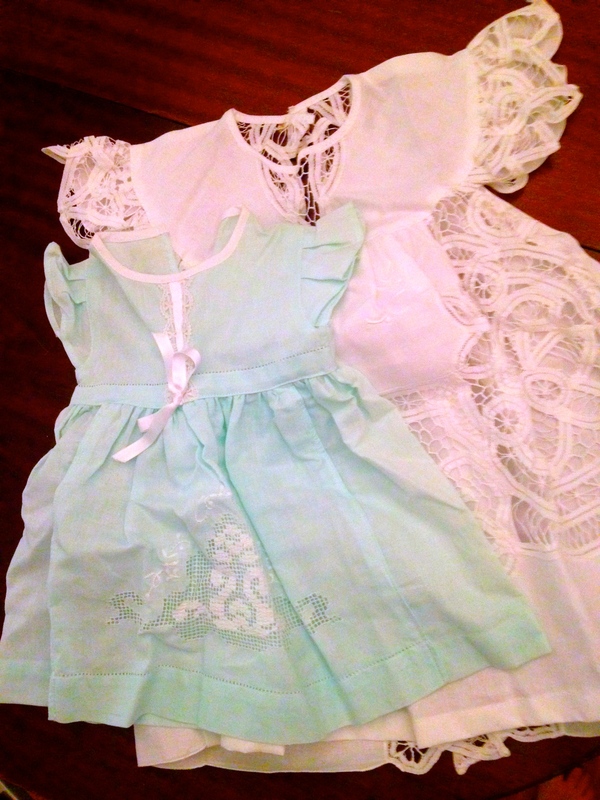 We brought home two dresses made just outside Venice, on the island of Burano, which is famous for lace-making. The exchange rate was great! Dresses were 18 and 22 euros. Worked out to about $43.